Home » Community » Want to put more colour into your life? Want to put more colour into your life? 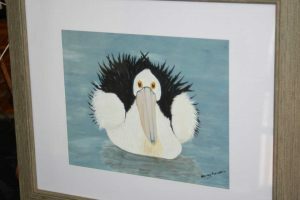 The Cooloola Coast Art Group is for anyone, from beginners to the experienced, interested in painting, drawing or sketching in any medium: oils, acrylics, watercolour, pastels, charcoal, pen and ink. Come along and try our fortnightly life drawing classes, Wednesdays February 14 and 28, and Tuesday drawing group. Our first meeting of the year is February 23 at 1pm in the RSL Hall. Attention artists and photographers, the highly acclaimed Cooloola Coast Art Show and Photography Competition is on again July 27, 28 and 29 at the Tin Can Bay Country Club.